State of the art cyber systems are becoming an organic part of our day to day life with the advancement of internet infrastructure, mobile technologies, and sensor networks. As a result, protecting cyber systems against attacks has become a task of vital importance. However, the highly complex nature of modern cyber systems makes designing of security solutions a challenging task. The mission-critical nature of these systems demands low latency solutions that identify and prevent attacks. Graphs are fundamental in representing complex interconnected systems and data. Thus, graph representation based security solutions will play a crucial role in future cyber systems security solutions. We propose a set of fundamental dynamic graph algorithms that can be used to develop cyber systems security solutions. First, we present distributed dynamic graph algorithms that can be used to prevent attacks on cyber systems. We develop distributed algorithms to monitor vertices in a dynamic network to detect if they become a part of a given graph pattern. Evaluations on a diverse set of real-world datasets demonstrate that ~99% savings in computation and communication is achieved by the proposed algorithms compared with state of the art. Next, to provide high accuracy subgraph pattern matching in dynamic networks, we present a distributed algorithm for exact subgraph matching (i.e., subgraph isomorphism). To improve the latency and scalability of the solution, we propose a lossless distributed graph pruning technique based on graph simulation. Evaluation results demonstrate that our proposed method is highly effective on small-world graphs. Finally, we present a set of dynamic Steiner tree based protection schemes to address a security vulnerability in the smart grid state estimation process. The proposed protection schemes consider the dynamic nature of the criticality of buses in power transmission networks to provide optimal cost protection recommendations. We develop scalable, highly accurate heuristic algorithms to obtain security recommendations with low latency. Charith Wickramaarachchi received the BSc (Hons) degree (2010) in Computer Science and Engineering from University of Moratuwa and the MS degree (2016) in Computer Science from University of Southern California. He is currently a Ph.D. candidate at the Department of Computer Science at University of Southern California. His research interests are in the areas of large-scale graph processing and data stream processing in distributed environments such as Clouds. 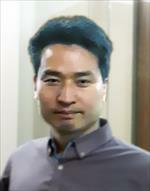 He is a member of IEEE, an elected committer and a project management committee member of Apache Software Foundation.